The GRDC funded Low Rainfall Collaboration Project (LRCP) aims to foster greater sharing of knowledge and ideas between a number of farming systems groups in south-eastern Australia. This project is now in its second phase of funding from GRDC and runs until 2013. 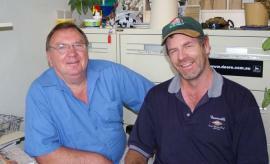 Project Manager is Geoff Thomas and Dr Nigel Wilhelm is the Scientific Consultant both of whom have spent most of their careers doing research and extension with groups, especially in low rainfall areas. Farming systems groups involved normally receive less than 450 mm of rainfall per year. Of course in certain years this could include most of southern and western Australia but the groups formally in this project are Eyre Peninsula Farming Systems, Upper North Farming Systems, Mallee Sustainable Farming, BCG (formerly Birchip Cropping Group) and Central West Farming Systems. We also maintain contact with like groups in WA, especially in the Esperance and Geraldton areas. The low rainfall areas have enormous untapped potential for improvement in productivity and sustainability. They have attracted relatively less research and extension resources in the past than their higher rainfall cousins. Farmer groups are widely recognized as an essential component of the testing and integration of new technologies into farming systems. There is a shortage of experienced scientists working in low rainfall areas which makes the need to muster that expertise and share information with and between groups even more important. Whilst individual environments may be different the principles will be similar. There is a need to reduce duplication and fragmentation. Everyone is short of resources, a situation which won’t improve in the short term. It is essential to share research resources not only between the groups themselves but with Universities, CSIRO and State research facilities. The existence of a strong network is attractive to funding bodies who can easily lock into existing groups to ensure that the results of their investments have greater impact. Teamwork between the groups provides mutual support and satisfaction. 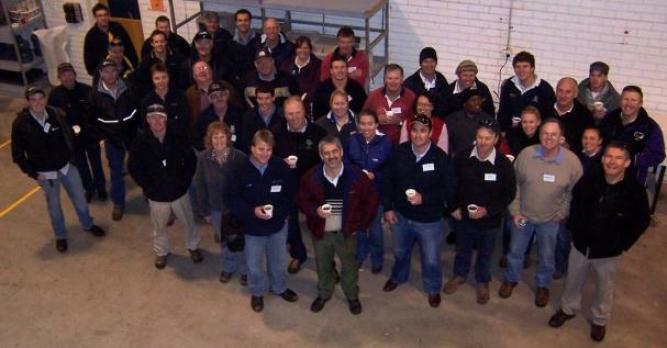 Communication which involves a regular newsletter between the groups; an annual workshop on technical issues and those issues important for the effective operation of the groups themselves; a programme of visits by farmers to farms, research facilities and field days in other areas; and on going information support to the groups. R&D Support which involves bringing scientific “grunt” together and making it available to all the groups; brokering of relevant technical support to groups; establishment of guidelines for R&D so that results can be better shared; a compendium of the work being done by all the groups and also by others who work on issues relevant to the groups; and support for the groups during their interpretation and priority-setting phases to extract the most value from group resources and the results they have achieved. An expert panel is being convened to bring intellectual support from across southern Australia to help with these issues for all the groups. Farm Decisions and Economics. The importance of integrating technologies into the farm system cannot be over emphasized. But it is not just the technical issues of including them in farm operations. The adoption of many technologies, whilst they improve production, also involve higher costs and risks. The aim here is to assess the emerging technologies in economic and risk terms. In the end, the purpose is the help farmers achieve acceptable profits at acceptable levels of risk. Evaluation. It is no longer adequate to assess our performance in terms of farm production alone. A balance of economic, environmental and social aspects are essential and their integration involves quite complex tools. It is more efficient if groups can share these tools and compare the results collectively.